According to a recently published research made by Gartner, during 2007 there were more than one billion cellphones sold in the entire world. A pretty high number, which equals to a raise of 16% when compared to the previous year of 2006. One of the main reasons for the number of cellphones purchased, is related to population in “developing countries“ that got their first mobile phone. Have you ever seen some new technology that feels like it was plucked from an old sci-fi movie? 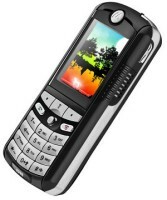 For example, how our clamshell cell phones resemble Captain Kirk’s communicator from Star Trek. 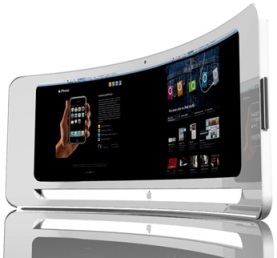 Another example would have to be new iView concept screen from designer Nuno Teixeira. The design looks to be based on old 1950’s wraparound cinema screens as the screen comes around to surround the viewer. To be honest, I can’t really think of any practical reason for the wraparound effect other than it looks cool. Though you can’t see it in this picture, the iView has another extraordinary feature: a screen on the other side. The screen is a bit smaller, but it would be good for office interactions. We’ve reported on Parrot products before, especially with their new lineup at CES. I was greatly impressed with their new line of picture frames, and I finally had a chance to try out one of their newest: the DF7220. The DF7220 is a complex piece of hardware, yet is simple to use. All I had to was plug the frame in an ordinary wall outlet, and it was ready to download pictures. Then I plugged in the USB into frame and transferred the files from a computer with a simple Cut and Paste procedure. 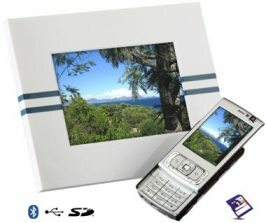 There is also the option of downloading via Bluetooth from a mobile phone or camera. According to the official record of the product, the frame can hold 300 photos. I am assuming that is with the SD/MMC card, because I was only able to get 50 or 60 without having a card inserted into the slot. If you’re the type of computer geek who wants ultimate control over customizing your laptop, or if you’re a graphic design junkie who can’t stand the boring options of colors out there for your portable machine. What is VAIO Graphic Splash? VAIO Graphic Splash is a unique line of limited edition notebooks that break convention and let you express yourself in a whole new way. Using a process called dye-sublimation, stunning colors and eye-catching patterns are infused into a notebook’s exterior with brilliant results. And the possibilities are endless. I think that I was born to be a writer, looking back it’s obvious really. First, I’ve always had horrible handwriting, which means I could have become either a doctor or a writer, and since I had no desire for an extra 10 years in school, there wasn’t much of a chance for being a doctor. When my school finally received new computers they began testing our typing skills, which I excelled at. 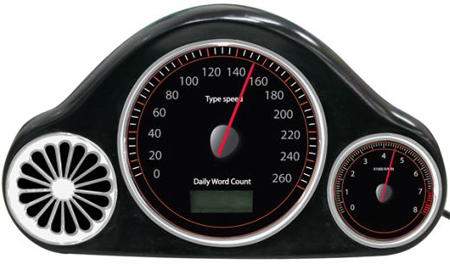 We had boring typing games to track out WPM count, nothing cool like this cool USB Speedometer. Toast has to be one of the most simplistic pieces of food to make that actually requires preparation. Just pull out the bread, pop it in the toaster, pull down the lever and it does the rest. The toaster itself is rather simple, you have metal brackets that hold down the toast and wires along the sides that heat up your bread. 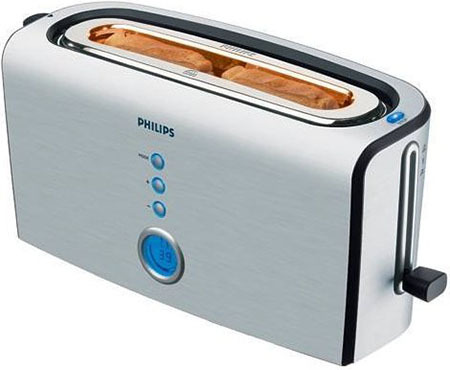 However, that just seems too simple for Philips, who has created a more modern toaster.